Thanks to the recent formation of an integrated national strategy for the development of the cruise and yachting sectors, Greece is today well positioned to further build on its continuously increasing number of international tourists who currently stand at a whopping 28 million annually, according to Elena Kountoura, Minister of Tourism, who addressed delegates at the 4th Posidonia Sea Tourism Forum. The privatisation of Greece’s marinas was a key discussion topic during the second day of the event with government officials and representatives of the private sector agreeing that many steps to the right directions have been made, but plenty needs yet to be achieved in order to help the country realise its full potential. 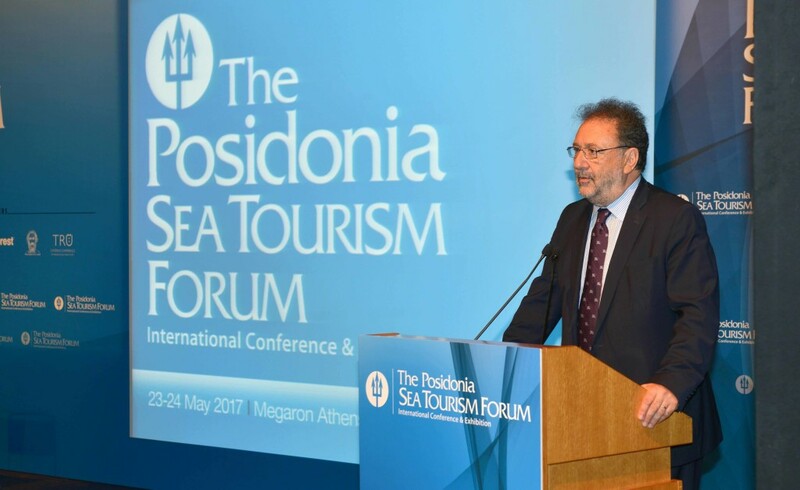 During his speech, Stergios Pitsiorlas, Deputy Minister, Ministry of Economy & Development said that the Greek government is committed to supporting the growth of sea tourism in Greece through a series of measures that include the privatisation of marinas in Alimos, Chios, Argostoli and Kalamaria through the concession model. 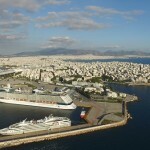 The Deputy Minister added that in partnership with port authorities in various locations around Greece, planning for the development of new marinas through the public private partnership model will be finalised this summer. Yet, today, the challenges pose a barrier to growth as neighbouring destinations, such as Turkey and Croatia, have already embarked on a strategic transformation of their own yachting sector and marina infrastructure development. Greece must renew its framework of establishing and operating tourist ports, according to Stavros Katsikadis, President of the Greek Marinas Association. “A reasonable and stable tax and regulatory regime would help attract investments by reducing legal risks,” he added. 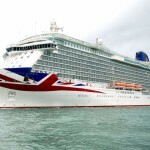 The cruise sector was also in focus during the Forum’s second and final day with top international and regional representatives of the industry adding their own unique perspectives. According to Ukko Metsola, Vice President, Royal Caribbean Cruises, the absolute number of cruise travelers sourced from Asia has nearly tripled since 2012 and this presents East Med with a great growth opportunity. “Asia is the world’s fastest growing market and China is the main driver of the continent’s outbound tourism market with an estimated annual 120 million Chinese tourists flooding global destinations each year,” he said. “With 2018 earmarked as the European Union – China tourism year, the opportunity for Eastern Mediterranean to position itself as a key cruise destination for Chinese tourists is today more important than ever before,” he added. Innovative marketing could hold the answers to many of the challenges stifling the East Med region’s growth as the adverse geopolitical conditions continue unabated according to Erkunt Oner, from Turkey’s Tourism Investors Association. 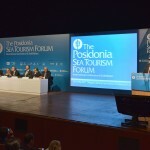 During his Posidonia Sea Tourism address, he proposed the launch of a Cruise Aegean Forum selling the joint Greece-Turkey cruise product under the thematic umbrella of the four wonders of the world that would be of particular appeal to North America cruise guests as indeed would be the labelling of the region to Mid or Central Med to help battle misconceptions about the region’s proximity to the Middle East. In fact, the importance of North American cruise visitors for the viability of the region’s cruise sector was highlighted during the presentation of Dr Yiannis Paraschis, CEO of Athens International Airport S.A. 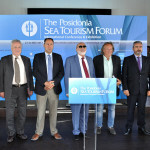 In the eight years since its inception, the biennial Posidonia Sea Tourism Forum has managed to establish itself as a major platform for the promotion of the cruise and yachting sectors for the entire Eastern Mediterranean and Black Sea regions. This year, the event was attended by over 1,000 delegates including, for the first time, attendees from Iran and Egypt, whereas Turkey also fielded a strong delegation despite its domestic political challenges. A total of 34 companies also presented their services at the dedicated exhibition floor.